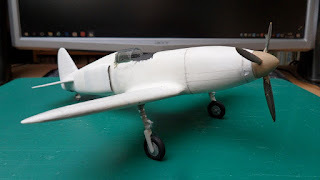 In the third part of his 1/48 scale Ki-78 scratchbuilding project, with the basic structure now completed, John found that adding the small details took just as long as crafting the larger pieces. 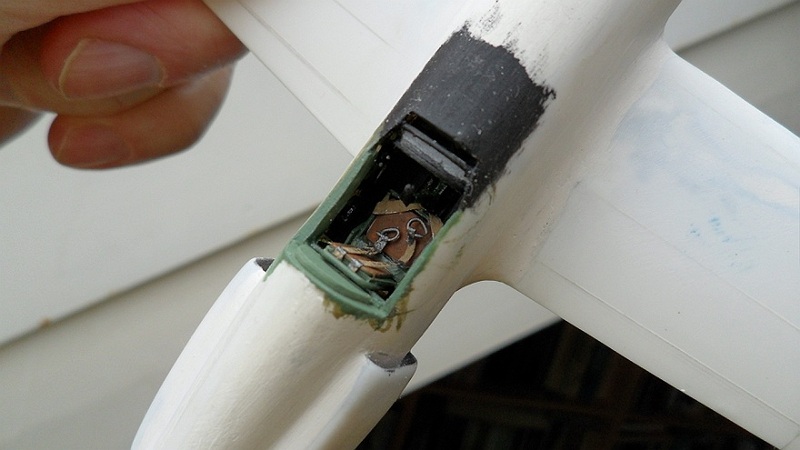 He started by constructing the interior of the wheel wells, improvising as no clear photographs of them were available. 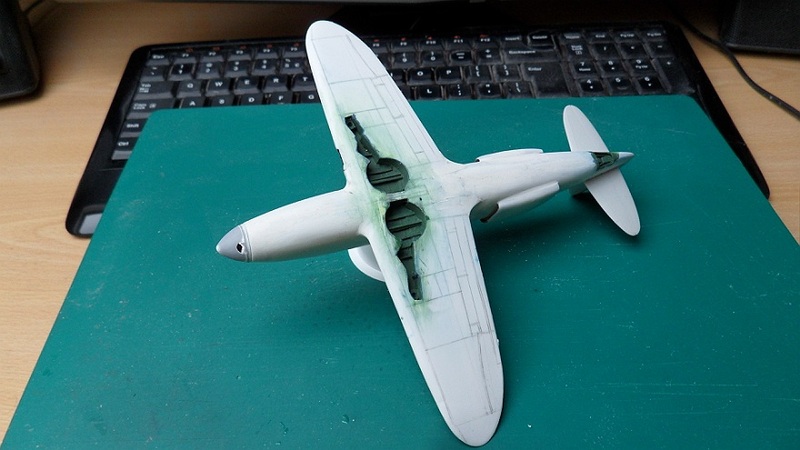 The interior colour of the wheel wells and covers seemed to be rather dark, so John chose a medium green. Next the cockpit interior, again no photographs to work from, so John had to create everything with just a nod towards the cockpit of the Ki-61. For the undercarriage John thought he might be able to find suitable parts from the spares department, but alas, nothing was usable - everything was sold out! So the struts were handmade from spruce, including the tiny scissors. 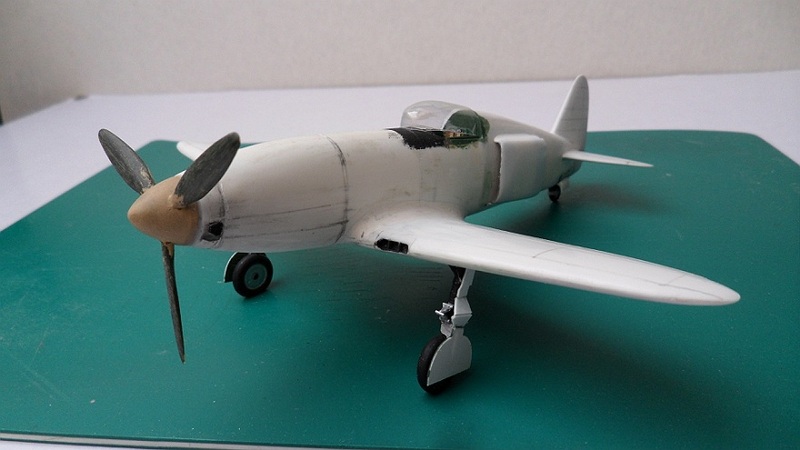 He had more luck with the wheels, which came from an old Tamiya 1/50 scale Ki-100. Very old indeed! 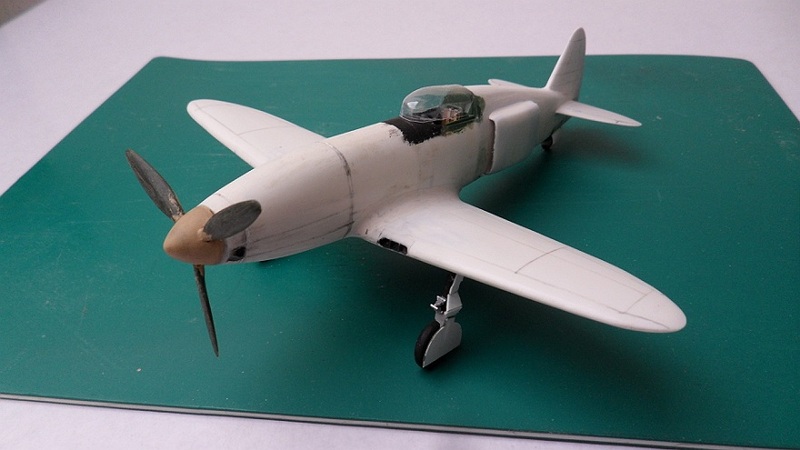 And the Ki-100's prop blades proved to be spot on too! So far so good. 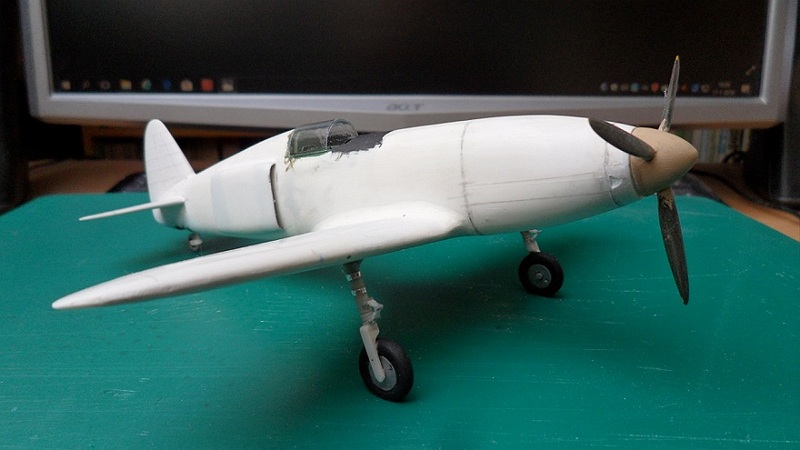 In the next part John will be the fabricating the exhausts, and the last important hurdle - the fitting of the canopy. That is a tricky business, where it is quite easy to remove too much material and then have to start all over again. Until next time . . .
(Parts One and Two of John's Ki-78 project may be found here and here). 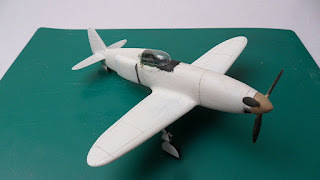 I once decided to get the Hasegawa Typhoon altered to become the Hawker Tornado 1st prototype , and even with the help of a professional model company in Glasgow , for extra parts , it was a really hard build , I had Plastic Underside Ventral Radiators and the Nose altered to the shape of the Tornado . even then , it took a lot of work . anyway , impressive work ! A tribute to patience for sure. Great work, John. Great update! Coming together beautifully.